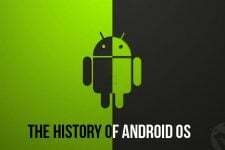 According to the latest stats from the Google Developer portal Android 4.4 KitKat currently occupies 13.6% share in the overall distribution of different versions of the operating system. It’s really unsatisfactory given the fact that it’s has been almost seven months since KitKat was first released. 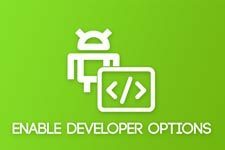 While KitKat is known for better and faster performance that the older Jelly Bean, the former is also known for taking away some good features that we used to enjoy on the latter. With the KitKat update, Google brought a not-so-pleasant thing by revoking the write capability to external SD card by app on an Android device. You must have seen the Move to SD card option under individual app settings on Jelly Bean. 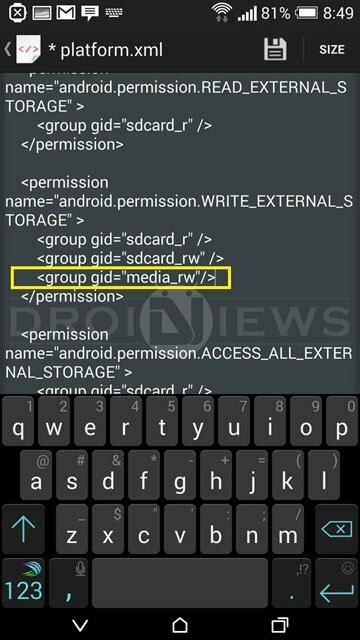 It simply means that KitKat does not allow apps to write/move data on the micro SD cards on devices that support expandable storage. If you install too many apps, your phone’s internal storage might fall short as all app data will be stored to it. Actually, Google removed the write access to the external SD card by apps deliberately for security reasons. Google made this move to stops apps from dumping files everywhere on the card. On Kitkat, all 3rd-party apps can only write to files and folders that they have created or have taken ownership of. As you know, Android is a world of possibilities. If you have have obtained root access on your device, you might obtain a solution for almost all such issues. The Play Store already has a couple of good apps for fixing write access to extSD card by 3rd-party apps. While these apps work great on certain devices, the have proven to be ineffective on others. 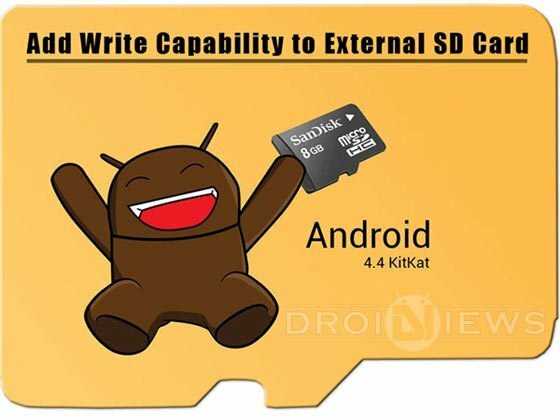 If you have root access on your phone or tablet and having this issue, you can easily fix write capability to external SD card on KitKat manually. Open the root file manager app. Grant it root access if it prompts you to do so. Tap and hold the platform.xml file and select Edit option. Now add the following string of code just after <group gid=”sdcard_rw”/>. Having editing the file, save your changes and exit the root file manager app. Finally, reboot your phone or tablet. When your device boots up the write access on external SD card by third-party apps should be enabled. Enjoy! this is outdated. no longer works in versions above 4.4.2….look …the meathead ROM creators keep thinking they know best. Not working..can’t move apps to sd card.. This worked on my HTC Desire 610!!!! Can’t thank you enough!! Running Verizon GS4, rooted and can’t write to sdcard even with Root Explorer (confirmed root granted). MyFiles won’t do it either so it seems that something more has been done to enforce this idiotic policy. Hello, I have got sony xperia z1 and using 64gb sdxc ultra class 10 card with my phone. My issue is that i am not able to format my card in any situation. Neither on phone nor on laptop. It says that my card is write protected. The storage is struck on 35gb full. I am not able to copy files from phone memory to sd card. Please help me to solve this issue. How can i unlock my sd card and format it and copy phone data on it. Fat32 might not support this size and your device might not support ntfs or exfat. No its not like that. I was able to format the card before this problem. It’s now, that this problem have occured. Something went wrong with the card i feel. I need a software that can format the card. I have got the card reader in my lappy. Did you try another cardreader on a Linux system (Ubuntu, Suse, Red Hat)? It also (I hope not for you) that the card is defect. No…Haven’t tried on these platforms but off course tried all sort of card readers. My phone now cannot read the phone storage. The default system apps, like Music and Videos, does not show any file. Only the file managers can read the SD card. Previously the phone shows files on those. Explorer shows that the phone storage become a file (sdcard0). It seems that the phone thinks my SD is the new phone storage. What should I do? Vuze now uses the extsd. Hancom office still doesn’t. I have an Acer Iconia A-830 tablet, with an Intel processor. I was able to root it and tried both apps and was able to view the platform.xml file to see the appropriate change to the text. But I don’t see any option in the APPs manager to “move to SD” for any apps. I tried to install new apps but there is no option to move those either. Unmounted reformatted the SD card but still no access. Maybe there is limitation to hardware? It is running 4.4.2. Any thoughts? Hi Robert, I tested this on Android 4.4.3 and 4.4.4 and it worked fine on My HTC One M8 and Note 3. I have Acer Iconia Tab 10 A3-A20 with android 4.4.2, the third party app that I have installed like App backup&restore was not able to change backup folder to sd card, the default folder it register is sdcard/emulated/0. my Mango reader has also having a problem in restoring my manga from my ds card. Is there another way to fix that? I have already tried Total Commander, but no success. Unfortunately, the only way I got it to work, was to unmount the SD Card (System Settings -> Storage), and then Erase the SD Card. That made the system able to write to it again. Maybe there were certain apps on my SD card that were conflicting with KitKat? Hello, like many here I couldn’t get the fix to work. Im on g3 d855 10i eur. Rooted and tried all suggestions here. finally freeing up space on phone! Is there a way in which one can do this tweak but on non rooted android smartphones ? what why thanks for not helping i dont know how to root and its to risky. Android 6 has less restrictions on sdcard usage. But otherwise its a no. You succeed just by doing nothing ? Did you also try saving to the sd while using an external program like HanCom or other office suite? I’m suspecting Samsung interference. Even on rooted phone or tablet from Samsung I can’ t directly save to external sd from within a Hancom program. I rewrote the code has instructed, reset the phone and i still can’t move apps from my settings to my sd card? This feature is still missing?? And yes i have flash and rooted my Xperia Z. Which Android is it running? My tab 4 10.1 runs a rooted 4.42. Only HanCom doesn’t have write access to the ext. SD card. Some apps even automatically are pklaced to the ext. SD card. HanCom states that they try to solve this, even for non-rooted Kitkat users. I flashed to 4.4.2 to root then flashed it back to 4.4.4. Is that an issue with the sd moving process? I had a rooted 4.44 on my phone… once. I couldn’t even access my SD card, even with these apps and an external browser. But that was a few months ago when 4.44 was just on the market and the code still had to be hacked properly. You could try 4.42 and see if it works. I used several fixes. They all worked for Titanium Backup but not for HanCom Office. Hword still gives the write error message. It doesn’t work… I cannot save the file after editing it 🙁 I’m rooted on an Xperia Z1 Compact. The App doesn’t work either. Open the app and install busybox script. Reboot the device and try again. I wasn’t able to install busybox. It seems I’m not correctly rooted even though “Root Checker” tells me I am… I’ll try to root again. I’ll let you know, thanks for your help! I rooted again! The App does the job, it works without installing busybox! Thanks a lot for your quick response! Should the code be media_rw or sdcard_all like the screen shot? The media_rw does not work for me. Sorry Ken, I mistakenly posted wrong screenshot, the correct is: . Added new screenshot. Thanks for bringing this to notice. Hello thanks for much for taking taking the time to respond! Yes I applied the SD Card fix and can see the media_rw update in the platform.xml file. I’m currently using a Galaxy tab pro 10.1 wifi only edition (SM-T520). Try the SD Fix apps listed above. I think I may have found it. Apparently 2 of the cards I was using may be corrupt. Thanks! Did you try SDFix app? Hello Rakesh, When would DROID VIEWS come up with a LG G3 review?… am actually looking forward to get it once it gets launched here in India. Oh ok…:):)…thought you guys might have procured an imported version…:) Any idea on the possible date of release based on your contacts? No new update but G3 will be here in a week or too. Have patience! Hi Rakesh, No sign of G3 launch here in India. You got any update on this?